I was recently introduced to a new company - Sk:n.
At first when I checked out their website I was a bit overwhelmed - I saw alot of "treatments" and "procedures" they offered... which kind of scared me a bit - I am a slight wimp like that! Once I had had a read through though my mind was put at ease by the professionalism and articles and actually intrigued to maybe try things out one day! One of my best friends has recently had lazer hair removal and raved about how amazing it is, so that really stood out to me along with mole removal as I have cheeky one on my leg which I have never been a fan of and as a child did everything to try and hide it - although it would kind of be like loosing a part of me if it went! 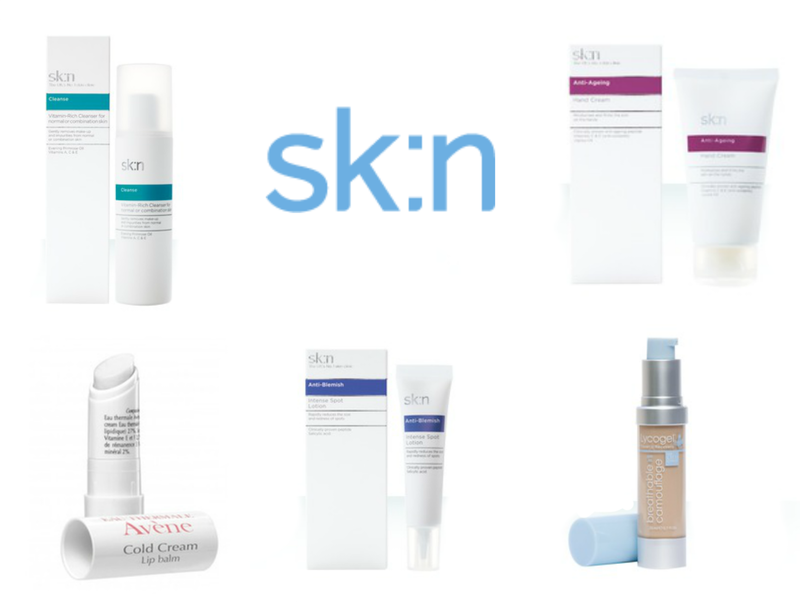 Not only do Sk:n have a fabulous range of helpful and self-esteem boosting treatments but they also sell beauty products .... hallelujah - that is where my heart lies and that is what I am going to be talking about today! I thought I would share with you guys Sk:n's beauty based store and the products I am dying to try out plus some which could make fab presents for others! I'm always changing up my cleasners and trying out different things My holy grail is cleanse and polish but I love using other products alongside it to make my face feeling even more free from dirt and make-up build up. This is around the usual price I would pay for other higher end brands for a cleasner so I think it is totally reasonable. Avene are a huge brand in the UK now and known for their amazing skincare products. Lip balms are a must have in cold weather - I can't live without one and for only £5 this is a total bargain! I'm quite lucky when it comes to my skin and throughout my teenage years and right upto now I tend to only get a few whoppers now and again.... although they are never pleasant! I love the sound of this lotion which rapidly reduces the size and redness of a spot - the perfect spot lotion if you ask me! Dark circles are becoming the bain of my life and I'm sure I'm not the only one! Yellow is known to counteract redness and help to cover dark patches and fatigued areas! This would make a lovely present aswell for a hard-working beauty-o-holic. Hand cream is a must in my handbag, especially this time of year. I use so much anti-bacterial hand gel working with the public as I am terrified of picking up all those winter cough, colds and bugs that my hands become so so dry. This hand cream is highly moisturising and not onlycontains some of my fav ingredients like jojoba oil and viamin E but also is a fablous anti-ageing product. It increases the skins elasticity and helps to fade brown spots - a perfect stocking filler for a parent or grandparent for Christmas I'd say! I need to try the intense spot cream.